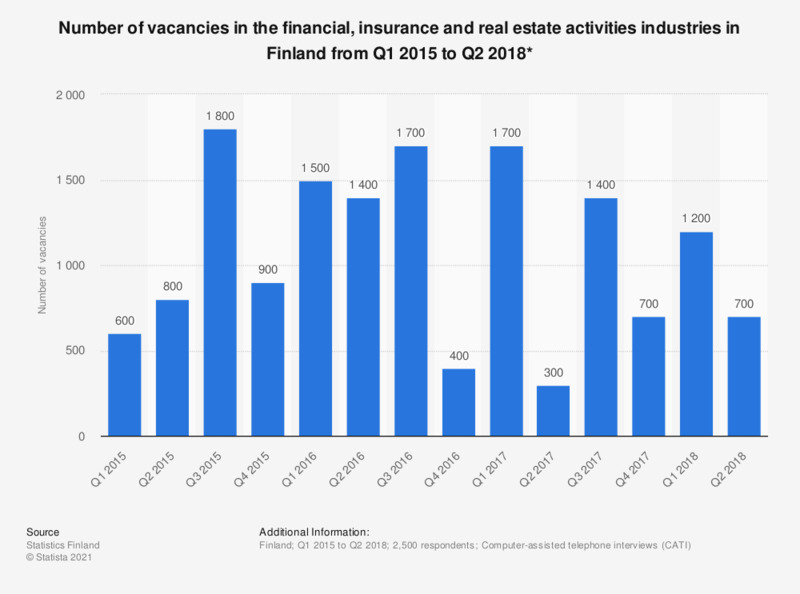 This statistic shows the number of vacancies in the financial, insurance and real estate activities industry in Finland from Q1 2015 to Q2 2018. In the second quarter of 2018, approximately 700 job vacancies were available. * The Labour Force Survey data collection is based on a random sample drawn quarterly a year from the Statistics Finland database of approximately 150,000 companies. The quarterly collection consists of around 2,500 places of business. The survey conducts are regulated in the European parliament and council statute (N:o 453/2008).